A report released on Thursday by research firm GfK shows that 84% of current iPhone owners plan to purchase another Apple handset when they replace their cellphone, with many smartphone users saying the ecosystem of a mobile OS is a determining factor when upgrading, according to Reuters. The study conducted over 4,500 interviews of smartphone owners in Britain, France, Germany, Italy, Spain, Brazil, China, the U.S. and Japan, finding that the iPhone had the highest retention of customers, followed by devices running Google's Android OS and RIM's BlackBerry, with 60% and 48% respectively. GfK analyst Ryan Garner notes that an average 63% of respondents plan to replace their current device with one running the same OS, lowering the possibility of quick market swing. Subsequently, manufacturers are jockeying for position as customer loyalty becomes ever more crucial in a mobile market that is quickly being saturated. The analyst goes on to say that the more services and features a customer uses in a particular mobile OS environment, the more entrenched the user becomes. Nearly one in five consumers who own both an iPad and iPhone believe that switching to another OS would be more difficult than changing bank accounts or gas or electricity providers. "Those who are satisfied with their current set-up will be difficult to tempt to a new platform and the more services they use, the greater a consumers loyalty to a brand, Garner said. With over 70% of consumers saying features and seamless access to content are major factors in staying with their current mobile OS, the push for a value-added ecosystem is becoming a greater priority for the industry. 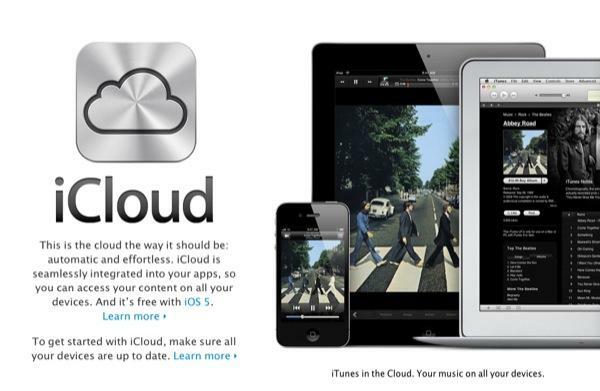 Apple's iCloud and iTunes are examples of creating an experience that customers not only enjoy, but cite as a reason to stay with the iOS platform due to financial and personal investments. The study found that respondents cited three main arguments regarding user experience as barriers to switching devices; 33% being too invested in apps and current phone setup to change, 29% claiming that learning how to operate a new device is a detriment and 28% sees moving digital content from one smartphone to another as too much of a hassle. "The smartphone providers that create harmonious user experiences will be able to increase consumer loyalty, as consumers find it more trouble than its worth to switch their digital life on their smartphone  as well as increasingly on tablets too," Garner said. "In a competitive market, brands that invest in user experience will yield great results." However, device simplicity and integration with a digital world of content are not the only factors in choosing to stay with a device. Cross-platform access to already purchased media or apps is also seen as a driving force for some users. Almost three quarters (72%) of smartphone owners feel that it is important to access to their digital libraries across multiple platforms, with the figure jumping to 80% for users who also own tablets and PCs. In this case, Apple's walled-in iTunes system becomes a negative aspect to the overall Apple environment as all apps and much of the media purchased through the service can only be used on iOS devices. China, seen by many as the most important developing mobile market for Apple, places the greatest importance on cross-platform access with 92% of respondents emphasizing the need for media to be compatible across all devices. Despite Apple's "walled garden," an AppleInsider report suggests there is high demand for the iPhone in China, with the newest iPhone 4S reportedly set to go on sale within two weeks after recently being approved for sale. Garner notes the sum of the findings, from user experience to cross-platform media access, points to success for the manufacturer or OS developer that can most quickly attract users with an innovative and easy to use mobile platform. "Those in dominant market positions, who create amazing user experiences, are potentially in the strongest position, and will be the most difficult to challenge in terms of capturing market share, Garner said.